Where to get the credentials, what they are used for, API consumption and supported operation mode. 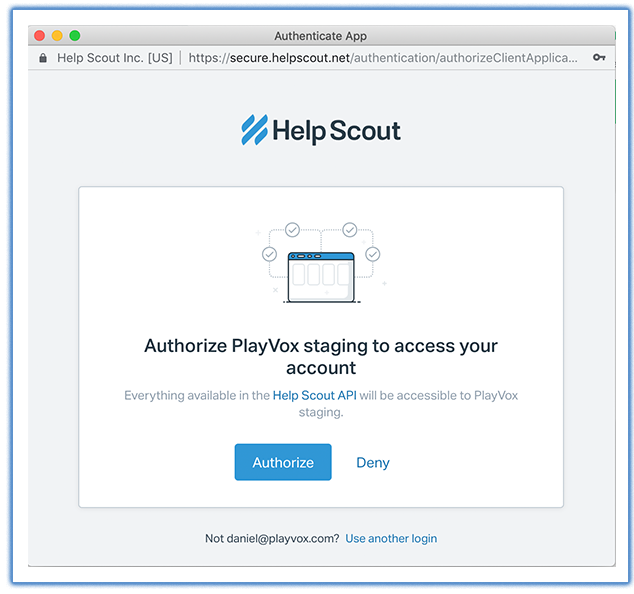 FYI: * You will need data from the HelpScout's account admin or owner. As you set up PlayVox’s software, you’ll be named an admin user. 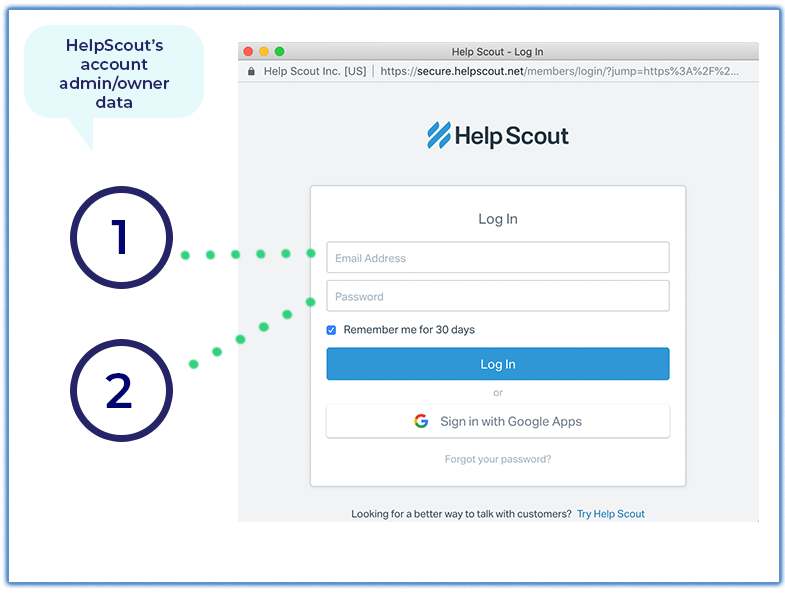 (This first 2 steps will happen only if you are not signed into HelpScout). Name: it is the connector’s name - you may have multiple connections and it is important for you to be able to properly identify them (i.e. HelpScout's chat 1, India’s emails, Technical support chat, etc.). After typing the connector’s name, you should click on the Accept button - once you do so you’ll be shown an emerging window where you’ll need to connect the accounts (as shown below). As soon as you click on Authorize the integration will be set up. FYI - HelpScout offers 400 requests per minute by default. and every time you select a different conversation, additional 4 requests will be used.